All Hallows and the founding of America | London My London | One-stop base to start exploring the most exciting city in the world. 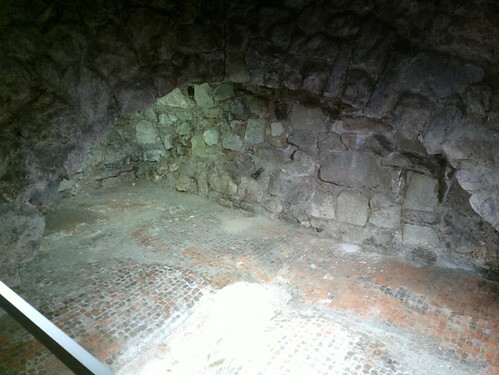 Walking in the crypt of All Hallows, the oldest church in the City close by the Tower of London, I encountered an American woman who had wandered unknowingly into the church because it happened to be near the hotel where she was staying. 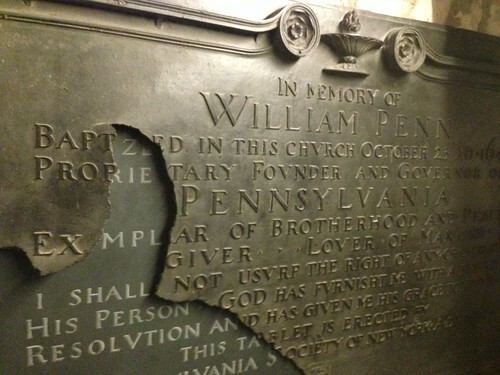 She was flabbergasted to discover not only that this was where William Penn, founder of Pennsylvania – and architect of an early version of the US constitution – was baptised and schooled but also where the sixth President of the United States, John Quincy Adams was married (having fallen for a local lass). This is what hidden London is all about. During his tenure Adams, despite – surprise, surprise – opposition from a hostile Congress, managed to clear much of the national debt before being thrown out by the electorate. All Hallows is not short of dead celebrities. 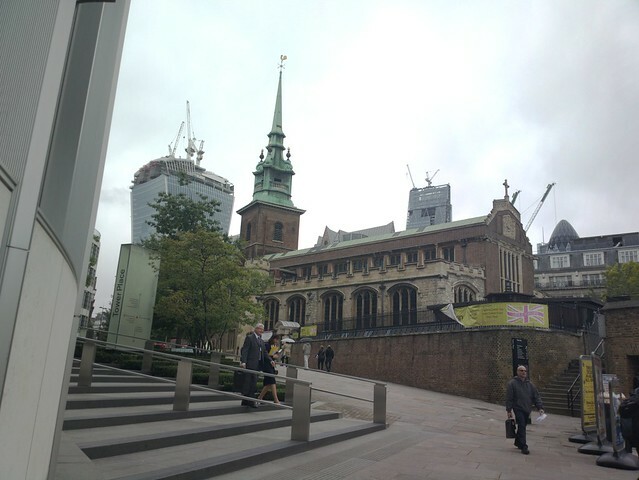 The roll call of those who were baptised, married or buried includes the “Hanging Judge” Jeffreys (married here), William Laud, Archbishop of Canterbury (beheaded at the Tower, and buried here in 1645), Thomas More (beheaded at the Tower for refusing to sign Henry VIII’s Act of Supremacy) and the martyr John Fisher, also beheaded at the Tower. However, the legend that the heart of Richard the Lion Heart is buried in the churchyard where his chapel once stood is probably untrue as Coeur de Lion’s heart is claimed to be in a casket at Rouen. Samuel Pepys, who is buried with his wife in nearby St Olave’s in Hart Street, famously watched the Great Fire of London in 1666 from the spire of All Hallows with Sir William Penn, father of the founder of Pennsylvania, whose prompt action in getting men from a nearby naval yard to demolish neighbouring buildings saved the church from destruction. All Hallows is very much a working church but in response to the realities of 21st century, the nave has doors both to a pleasant cafe with a garden and a fascinating labyrinthine museum in the crypt where you can see what’s left of the site’s medieval and Roman remains – including an arch from the original church – plus the actual signatures of Penn and Quincy Adams in the church register. All Hallows-by-the-Tower was first established in 675 by the Saxon Abbey at Barking on top of an earlier Roman building. This makes it the oldest church within the City walls though a stripling compared with St Pancras Old Church which claims to have had a church on its site since 314, pre-dating St Peter’s in Rome. Little known fact- All Hallows is the church of HM Revenue and Customs.